Above: Jordon “CaptainSparklez” Maron makes a living as a game broadcaster. Jordan “CaptainSparklez” Maron has had a charmed life as a YouTuber and Twitch livestreamer. He quit college to stream games on Twitch and post videos of his Minecraft play on YouTube. And now he makes a living at it, with more than 8.75 million subscribers and 1.6 billion video views. He has had a great ride for five years, and now, at the ripe age of 23, he is parlaying his fame into making games. Maron leveraged his fame to create a new app company, Xreal, with Activision founder and gaming pioneer Howard Marks. 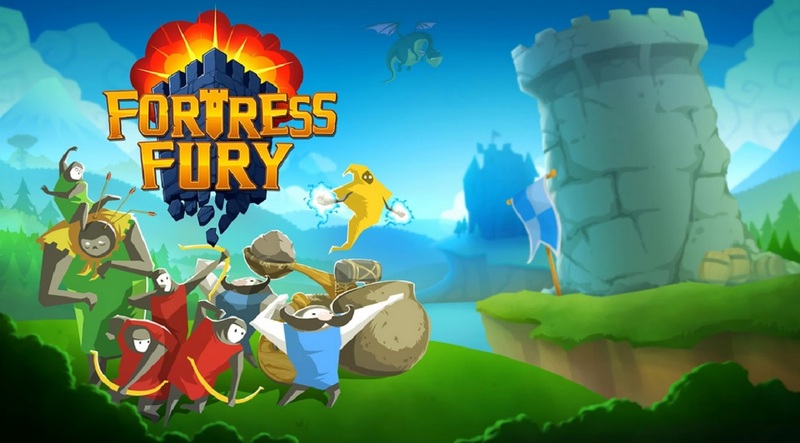 The company created Fortress Fury, which been downloaded more than 2 million times since its recent launch. The game is one of many that aspires to become part of the esport phenomenon on mobile. Xreal is raising money via crowdfunding to take on even more projects. 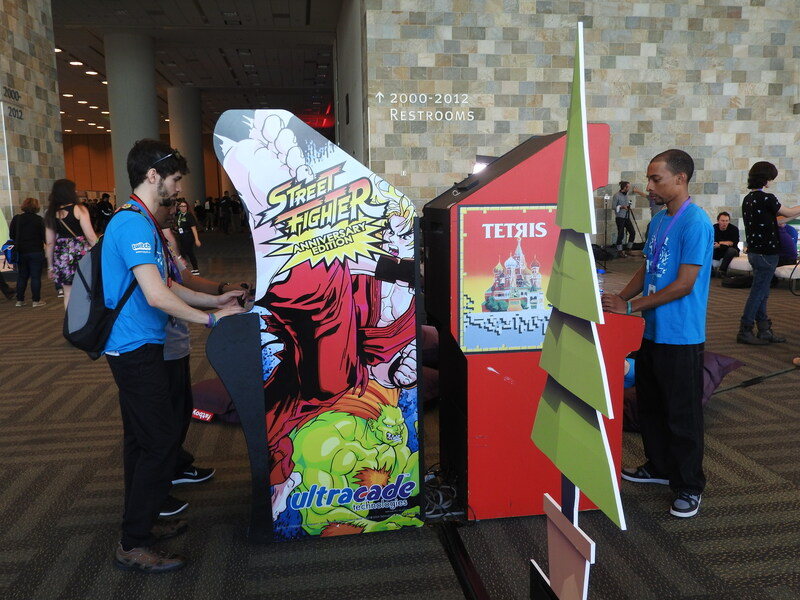 We caught up with him at last week’s TwitchCon event, which drew more than 20,000 attendees to the Moscone West convention center in San Francisco. Here’s an edited transcript of our conversation. Jordon Maron: I’m from Los Angeles. I’ve been streaming since about 2011. I started on justin.tv, and then when Twitch got created they migrated me over because I did games. I don’t know if you saw the keynote earlier, but Marcus was saying how it started back in 1999. Now I feel like I’m new to all of this. But I’ve been around since the beginning of Twitch.GamesBeat: Did you start with any particular game? Maron: Minecraft has been the primary one, but I like to use streaming as a way to try out new stuff. I feel like it’s more informal and casual, whereas on my YouTube channel people expect a particular style. GamesBeat: How big is your audience on both sites? Maron: On Twitch it’s about 1.2 million followers. On YouTube it’s 8.8 million-ish. GamesBeat: I try to understand the economics of this — at what point does that audience becomes large enough to support you? Maron: It’s been full-time for me since December of 2011. I see such of a range of people doing this full time, though. Some of them have 10,000 followers. Some people have half a million followers and they’re still working another job. It depends. Some people, maybe they’re not comfortable with the fact that when you do it full time, there’s no consistent salary. You rely on yourself. A lot of people like the idea of still having a guaranteed income. GamesBeat: How old are you? Did you have any other career before you started? Maron: I’m 23. I worked at a Coldstone Creamery for a summer in high school. A long, illustrious career. I was a skate camp counselor another summer. I started doing this when I was a senior in high school, because I wanted to show off the scores I got in Call of Duty. I didn’t know you could monetize anything. Over time that became possible. When I’d begun there wasn’t a clear understanding between publishers and YouTubers and streamers as far as whether this was something you could monetize. But everyone accepted, hey, it’s mutually beneficial, so it got to so you could monetize gaming content. About a year into it is when I decided to go full time. GamesBeat: Did you skip college altogether? Maron: I was in school for a year. I studied chemical engineering. Then I decided, a fair bit through my first year, I wanted to go into computer science. I realized that maybe video games could be a viable career, which I hadn’t thought about beforehand. As I was trying to switch majors – because you’re supposed to know exactly what you’ll do with your life when you first start college – it was a difficult process. While that was going on, YouTube was going pretty well for me, so I decided to take the leap. It’s been a good choice so far. GamesBeat: Do you view this as entertainment? Are you something like a talk show host? Can you think of an analogy to other kinds of broadcasting? Maron: I suppose the easiest way to put it is that I’m an entertainer. I still don’t know 100 percent why everyone watches me. I’m me and I guess that appeals to some people. GamesBeat: What works for you best as far as the kinds of shows that draw? Maron: Usually Minecraft has been the most popular. Something that you take a lot of time to work on produce, that’s usually the most well-received. I do a variety — just playing the game and broadcasting as I play it with my reactions, and then sometimes a longer-term, more high-production-value project that takes a few months to complete. I mix those in periodically. That combination seems to work. GamesBeat: Where are you on the YouTube/Twitch competition? Maron: I feel like it’s two parents fighting. Or not really. Between all of these social media companies – Twitter, Facebook, YouTube, Twitch – they have to be friendly, on the one hand, and integrate all the sharing between all the different platforms. But on the other hand they’re all trying to beat each other in different categories. I hope everyone does well, because competition is ultimately good for us. GamesBeat: Do you get offers from either side for exclusivity, to be in a partner program or something? Maron: Right now I only do my streams on Twitch, for example, and the VOD content is on YouTube. There’s a separation there. That’s how I view my approach right now. But YouTube is trying to push live streaming a little more now. I haven’t personally tried the YouTube game streaming yet. 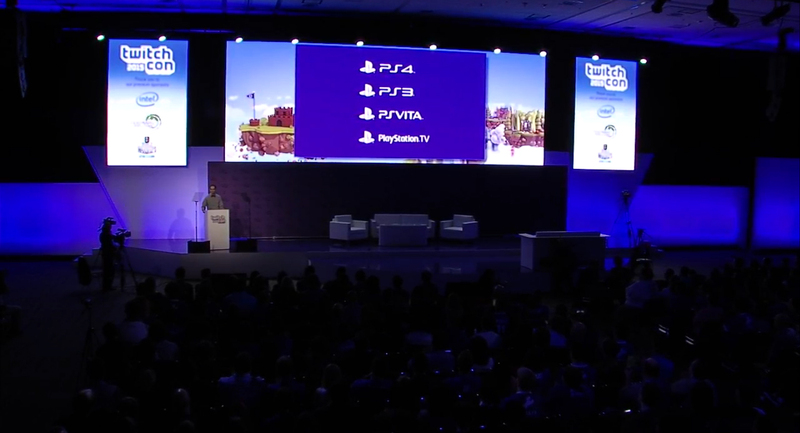 And Twitch just announced the whole VOD thing today. It’ll be interesting to see where it goes. GamesBeat: What opportunities does this give you? Have you been able to travel? Maron: It’s funny. You’re given the chance to travel, and then oftentimes I find it stressful. Part of doing this is keeping up a consistency to your streams and your videos. Because of TwitchCon, it’s probably the most inconsistent major broadcasters are going to be in years. When you have to travel somewhere, it’s double the work for the amount of days you’ll be gone, because you have to get so much content backed up. I find myself trying to avoid travel sometimes. But it’s still cool to get invited to places and meet people who watch you. You don’t usually get a sense of who’s there when it’s just through the screen. Coming here, you get to meet people in person and that’s always cool. Maron: Let’s hope that doesn’t happen. I try to keep my home in a privacy bubble. But I do get plenty of people saying, “Hey, here’s a key to our new launch if you’re interested.” I feel badly, because as someone who’s launched a game in the mobile space, I sympathize with trying to get other people on board and interested in it. With so many people reaching out, though, I can’t possibly get to everything. GamesBeat: Do you also get some developer content as well, things from people making these games? Maron: Yeah. I’m pretty familiar with most of the people working at Mojang, which is nice. I get to meet developers at events like this. I’ve toured various offices. It’s very cool, as someone who wants to get my foot in the door as far as game development and creating a studio, which is what we’re working on at the moment. GamesBeat: Tell me more about that. What are you up to? Maron: Back in May, we launched a mobile game called Fortress Fury. Long term, we want to do a competitive mobile eSport. That’s a new market. Not too many games are in that category. But as the processing power of phones gets greater and greater and the data networks get more reliable, that will become commonplace. Anyone can jump on their phone anywhere. You don’t have to dedicate a big chunk of time to sitting behind a computer. We’ll see if that evolves over time. If it does, we’ll be one of the early ones getting into it. We’re on both iOS and Android right now. We’re working on doing an equity crowdfunding round at the moment. GamesBeat: Are you doing regular updates? Maron: Right now we’re working on adding more content to increase the longevity of the game, how long you can play it before you’ve consumed everything. That’s a priority right now. GamesBeat: How many people are involved? Maron: It’s myself, my business partner, and then up to launch we had a studio we contracted with, five or seven people working since last August. Now we’re bringing the work in-house. The studio’s called Xreal. GamesBeat: Is that getting help from any sponsors? Maron: No, it’s been funded 100 percent by myself and my business partner. The crowdfunding campaign will hopefully allow us to expand. 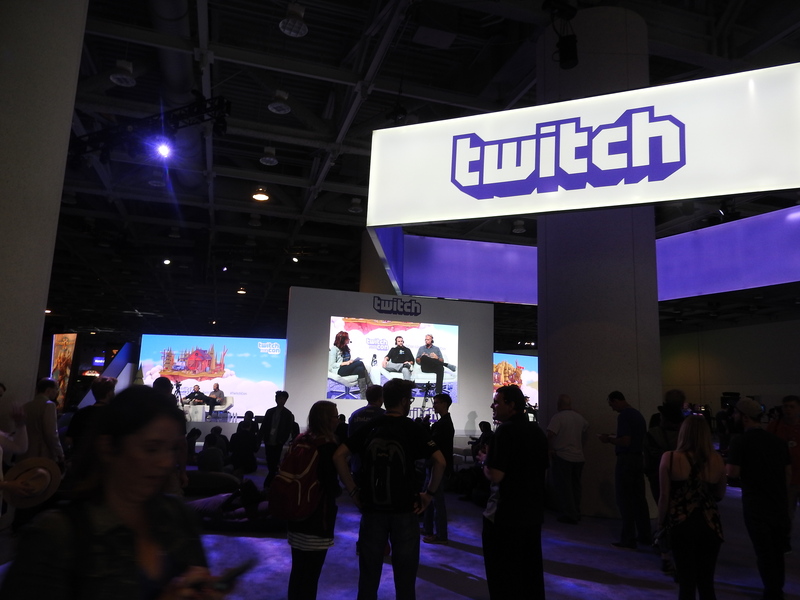 GamesBeat: Did you have any expectations for this first TwitchCon? Maron: I didn’t, really. It’s the first time, after all. But it’s going well so far. I was impressed by the keynote earlier. That was very good stuff. I’m looking forward to meeting more people. I’ll be playing some Minecraft with people very shortly. GamesBeat: What’s going to happen there? Maron: Anyone who wants to show up and play can do that, and then I’ll be walking around with some friends and interacting with everyone and seeing if they want any feedback. Oftentimes I find that the people who watch me are better than me at games, so maybe they’ll be the ones instructing me. We’ll see. GamesBeat: Are you doing any mobile streaming? Maron: I haven’t tried Periscope yet. These days there are so many different social media apps out there. It’s impossible. At the moment, in order to stream Fortress Fury, I just hook it up to a capture card and do it on Twitch. That works. But as time goes by, broadcasting directly from the mobile device will become commonplace – again, as the devices become more powerful. Right now part of the issue is, it’s pretty CPU-intensive to stream and play a game simultaneously. Bandwidth-intensive as well. But everything’s making a move to mobile. GamesBeat: You could come here and keep streaming. Maron: Yep. Walk around, talk to someone, get friends on the stream. That would work. GamesBeat: When you look at things like Twitch and YouTube, do you have a vision of how they could help you be more successful? Where do you want to see them go with the development of their platforms? Maron: Both platforms seem to get more and more hands on as time goes by. It’s been cool to see them evolve from just a platform to also supporting the community in a very direct fashion. That’s happened more and more over time. First and foremost, they’re tech companies, but they see these communities evolve and realize, “Hey, we should foster this and help it out a bit.” I’d like to see that continue. Both sites will probably stay, at their core, pretty similar to what they are. But hopefully they’ll keep adding more and more helpful features. I have a laundry list of features and feedback I could give to either one. GamesBeat: Were any features announced today that you were happy about? Maron: The playlist thing is very cool. I’ve always thought, “Hey, what if I just make a really long local playlist on my computer, capture it, and stream that to Twitch?” They took the hassle out of that. I don’t have to have my computer being screen-capped. I can just assemble that on Twitch and have it pull. That’s a pretty exciting feature.